Yes! 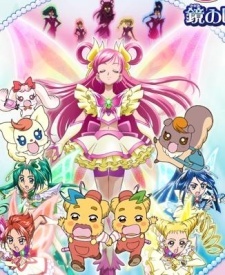 Pretty Cure 5 the Movie: The Mirror Kingdom's Miraculous Adventure! Eiga Yes! Pretty Cure 5: Kagami no Kuni no Miracle Daibouken! Yes! Pretty Cure 5 Movie: Great Miraculous Adventure of the Mirror Country!